Maximizing the value of Ferrari through an IPO is crucial to funding a 48 billion-euro investment plan aimed at lifting Fiat Chrysler's global deliveries to 7 million cars by 2018. (Bloomberg) -- Sergio Marchionne, CEO of Fiat Chrysler Automobiles NV, expects the company's Ferrari supercar unit to be valued “at least” at $11 billion (10 billion euros) in an initial public offering scheduled this year. Fiat Chrysler announced plans last year to sell 10 percent of Ferrari and distribute its remaining 80 percent stake to Fiat Chrysler investors. 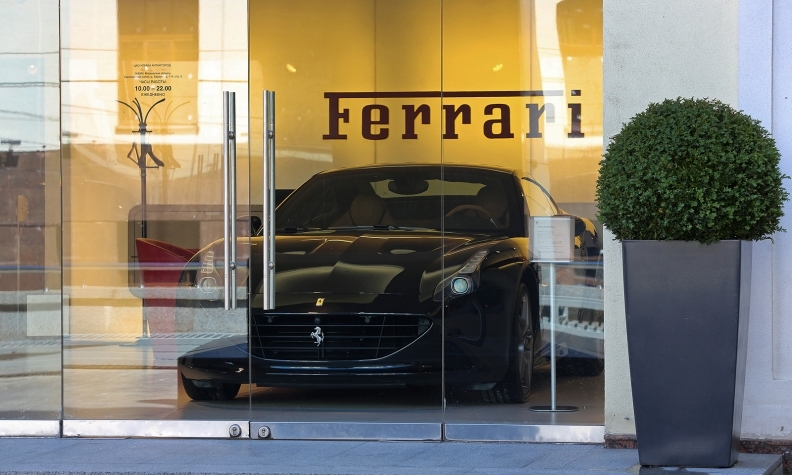 Piero Ferrari, the son of founder Enzo Ferrari, also owns 10 percent and plans to keep his holding. Getting the most out of the listing is crucial for Marchionne’s plans to fund a 48 billion-euro investment plan aimed at lifting Fiat Chrysler's global deliveries to 7 million cars by 2018. Fiat Chrysler shares have risen about 33 percent this year, boosting its market capitalization to 16.6 billion euros. Valued at 10 billion euros, Ferrari would represent about 60 percent of the value of the group. Ferrari, whose logo features the flag colors of its home nation Italy, plans listing on the New York Stock Exchange as a Dutch holding with its fiscal residence in the U.K., Marchionne said Friday. The plan would mirror the multi-national structure used for parent company Fiat Chrysler. Marchionne said the operative Ferrari unit will continue to be based in Italy and pay taxes there. Creating a Dutch Ferrari holding shows “the world has changed and required capacity from countries to adapt,” Marchionne said. Marchionne said last month that Ferrari could be listed in New York Oct. 13 after the IPO was delayed for a tax issue.